Stackmann helped to keep Ford's market share steady at 7% in Germany. Ford Motor Co.'s sales and marketing chief for Germany, Juergen Stackmann, has left the company to join Volkswagen AG, German media reports said. VW declined to comment on whether it had recruited Stackmann. Ford said in a press release that Stackmann, 48, had left the automaker "to take up a new post outside the company. " 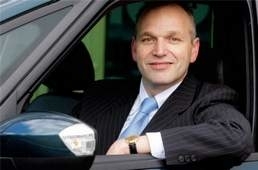 Wolfgang Booms, 42, will replace Stackmann as head of Ford's German sales and marketing operations, the carmaker said. Previously, Booms was Ford's sales director in Germany, a post that now goes to Wolfgang Kopplin, who was previously Ford of Europe's head of product marketing. Ford has a 7 percent market share in Germany with new-car sales of 51,300 in the first three months. Germany is Ford's third largest European market after the UK and Italy.